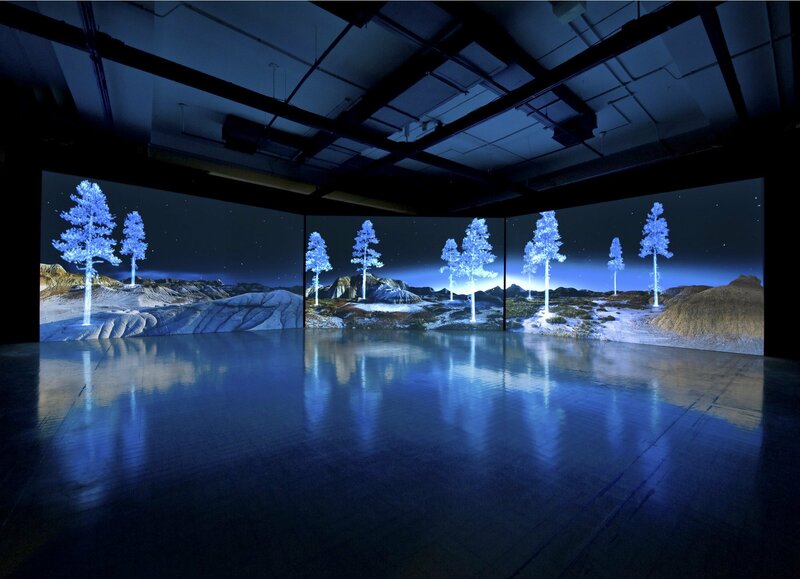 Kelly Richardson is known for her stunning large scale video installations of hyper-real landscapes. Combining the real and the imagined to visually arresting effect, she starts by filming real landscapes and then uses digital technology to distort them until they appear unfamiliar and foreboding. Though her work lends itself to multiple interpretations, the theme of a dystopian post-apocalyptic Earth runs throughout, with every work displaying a delicate balance between the beautiful and the uneasy. Born in Canada, Richardson is now based in Whitley Bay in the North East of England, and exhibits internationally.